Wisdom teeth can be problematic, and in some cases, they might need to be removed. 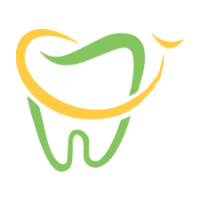 In the Financial District, Lower Manhattan, New York, the highly qualified dentists of PDADental have many years of experience performing wisdom tooth extractions. If your wisdom tooth doesn’t have enough room to grow, becomes highly infected with bacteria, or impedes dental implants, a wisdom tooth extraction might be the right solution to protect your smile and your oral health. Call or click to schedule online today. A wisdom tooth refers to any one of the third molars located at the back of your mouth. The wisdom teeth typically show up between ages 17 and 25. If they grow healthy and in the correct position, these extra molars are especially beneficial for chewing. When a wisdom tooth doesn’t have sufficient space to grow in or if it isn’t in the right position to grow in, problems can arise, and it can become impacted (trapped under your gums). When your wisdom tooth isn’t positioned properly it can provide a place for food to become trapped and bacteria to thrive. Many people find it difficult to reach the back of their mouth to floss and clean between the wisdom teeth and the neighboring molars. The roots of nearby teeth can be damaged by impacted wisdom teeth. A wisdom tooth extraction is a procedure to remove your wisdom tooth that must be performed by a qualified oral surgeon. First, you have a checkup and a consultation with your PDA dentist to discuss the process. Most wisdom tooth extractions should take about 45 minutes or less. You’ll receive anesthesia for your wisdom tooth extraction and your PDA oral surgeon might need to remove parts of your bone or gums to successfully extract your wisdom tooth. Your surgeon then removes your wisdom tooth and gently stitches the wounds shut. Your surgeon uses gauze pads to soak up any bleeding. Once your anesthesia has worn off, you can return home. Due to the anesthesia, you should have someone drive you home and make sure you’re comfortable and safe. Most people experience little to no pain after the surgery and the stitches usually dissolve after a few days. In most cases, your mouth will fully heal in about three weeks. Why Would I Need a Wisdom Tooth Extraction? A problematic wisdom tooth is normally extracted to avoid complications. Call PDADental for the highest standard of dental care or schedule online today.